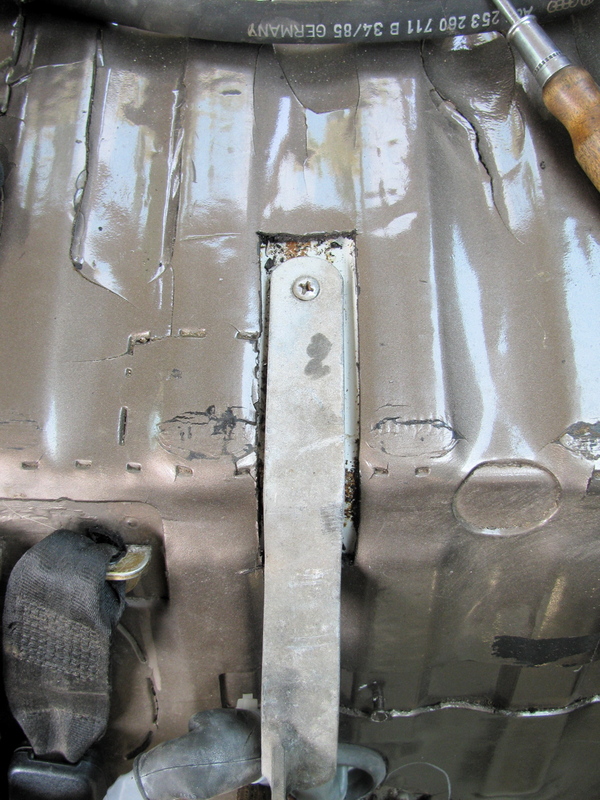 I mentioned before that just drilling a hole through the sheet metal of the rear deck to attach the rear seat/bed brackets is not good enough to get a firm connection. The screws used are self tapping screws which sort of implies, I think, that the factory did not weld on nuts on the underside of the sheet metal. Looking closely into the holes in my ’82 Westy the metal appears thicker than in the same place on my ’86 syncro. 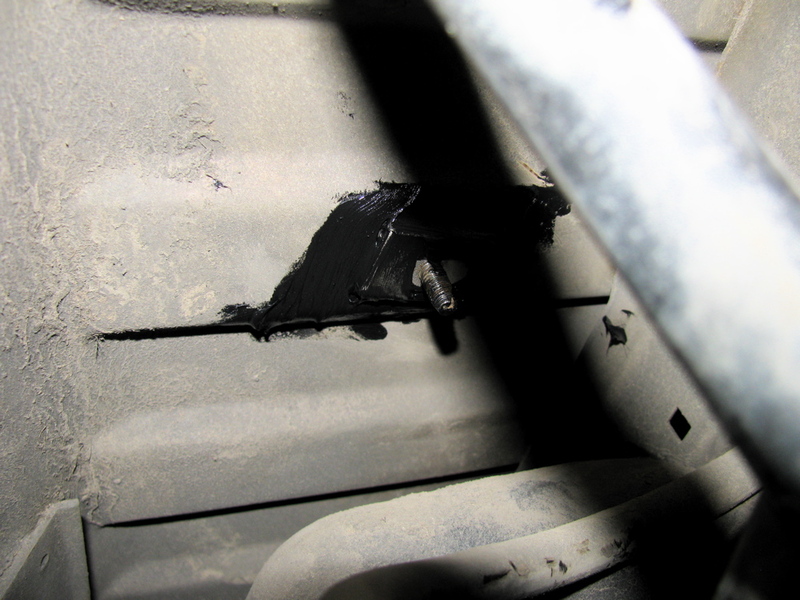 Here is view from inside of van of one of the brackets in place (in place but askew). So I set about making some little backing plates to give the screws more thread to love. 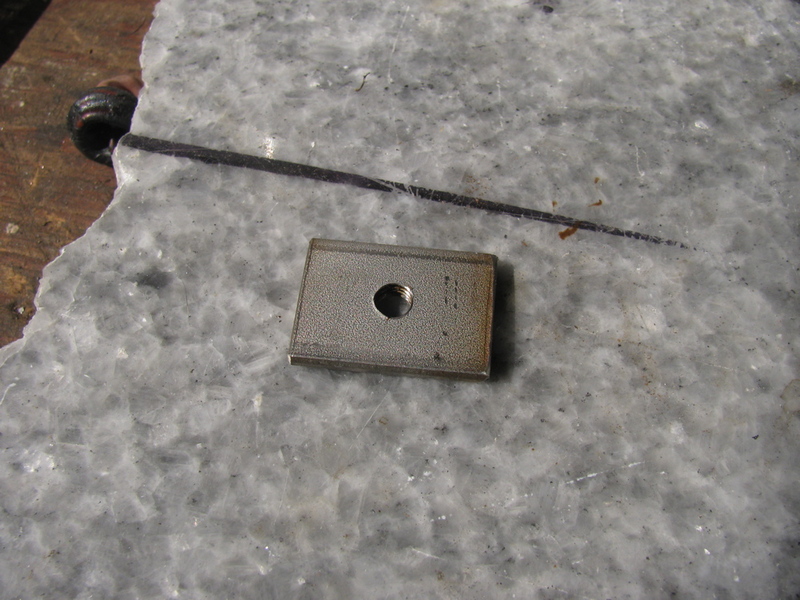 I used 3/16″ thick stainless bar to make to little plates, 3/4″ wide, 1″ long and a hole in each tapped for 6 X 1.00 mm thread. My plan was to use some Sikaflex to glue the plates to the underside of the deck so that the would stay in place when I screwed the the brackets down. Here is exciting picture of one of the “plates”. 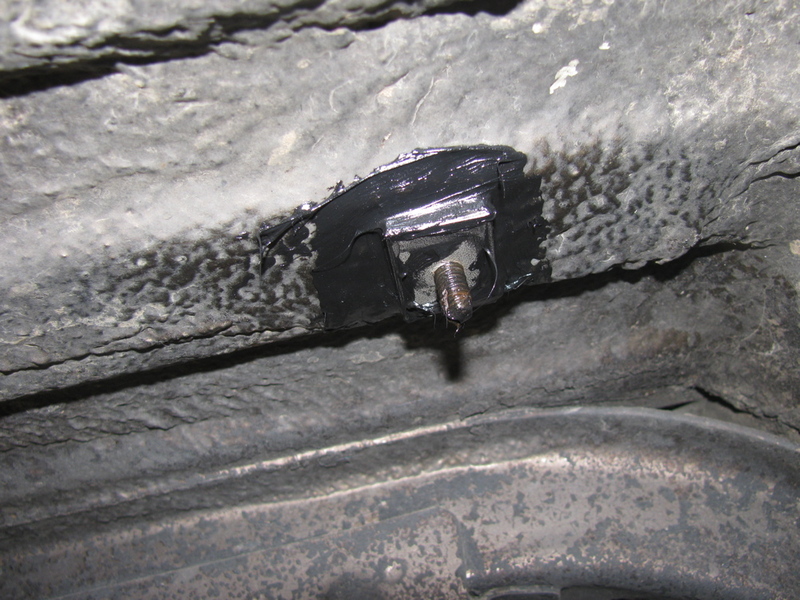 And here is one of the little chaps stuck up in the passenger side rear wheel well where the right hand bracket screw comes through – boy am I slow, it just occurred to me now to check the same place in the Westy to see if there is any similar thing going on. 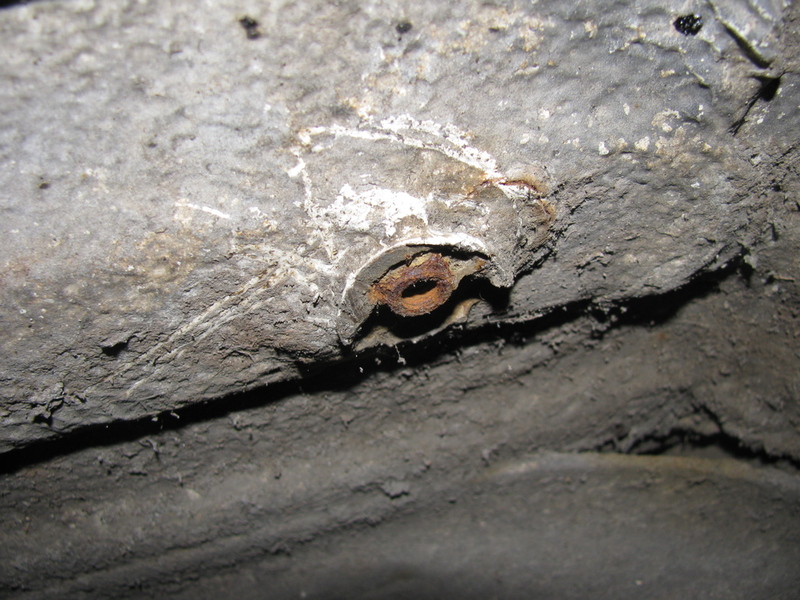 Edit: I just looked at the passenger side rear wheel well on my ’82 Westy where the bracket screw comes through, and lo and behold, looks like a nut is there, surrounded by goop. I assume same thing done for other bracket. So I am not completely mad thinking my little plates will work. 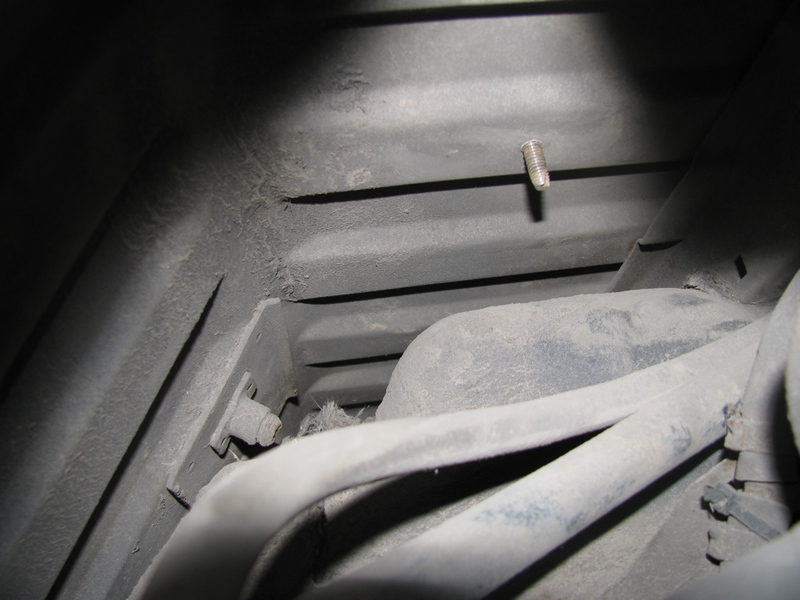 On the driver’s side, the screw comes through above and behind the gas tank of the Syncro. And here is the plate in place, all smeared with Sikaflex. I’ll let the Sikaflex cure overnight and then I will remove the screws and I hope the plates will stay in place. This entry was posted on August 3, 2010, 7:01 pm and is filed under syncro, vanagon, vanagon mods. You can follow any responses to this entry through RSS 2.0. You can leave a response, or trackback from your own site.